This week our discussion explored how we balance 'positive' and negative emotions. 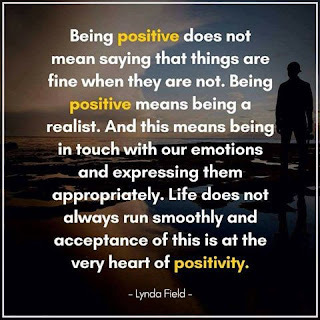 As a group, we shared that adopting a positive outlook had helped us to manage the intense emotions that are in the driving seat when we find out we have primary or secondary breast cancer. Our initial reactions include shock and disbelief; we often have to deal with the practicalities of treatment decisions​ and schedules, reinforcing our natural tendency to adopt an avoidant style of coping. 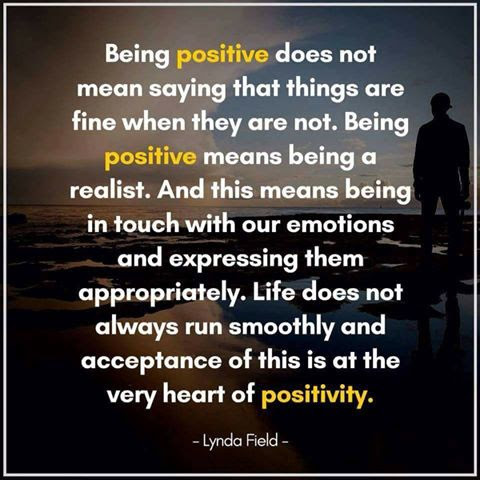 Many of us described being naturally drawn to avoiding our negative feelings, wishing to appear positive in our interactions with the world at large, and in some circumstances we thought this was helpful​. However, draw backs to this attitude include becoming cut-off from our emotions, numb, or unable to share our authentic feelings, leading us to feel isolated. Some of us shared that we could express positive and negative emotions, and felt this was liberating. 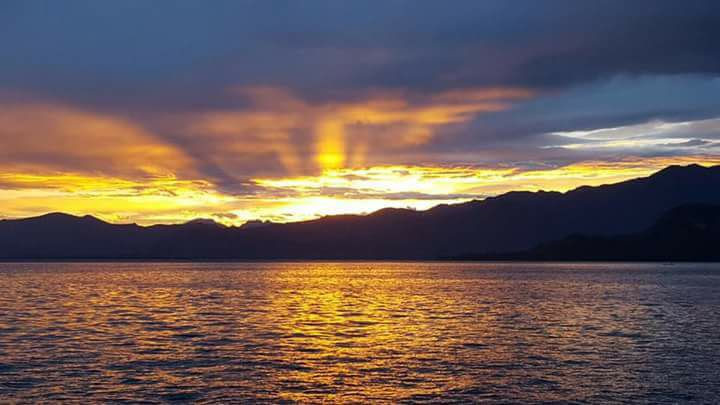 Others described consciously or unconsciously finding themselves being drawn to the 'silver linings' - the positives that had come about as a result of our changed circumstances, such as spending time with our children while being on sick leave. Naz told us about research on cognitive flexibility, its promising influence on mental well-being and encouraging effect on building resilience. The elasticity and plasticity by which we embrace our diverse range of emotional experiences helps us regulate our emotions appropriately and appreciate our experiences, however complex they may seem. “Well, I've got thick skin and an elastic heart, But your blade—it might be too sharp, I'm like a rubber band until you pull too hard, Yeah, I may snap and I move fast, But you won't see me fall apart, cause I've got an elastic heart”. In terms of our feelings, this means feeling sad, grieving when we need to and being fearful when it’s necessary. A flexible style of thinking, like the rubber band, is elastic. Naz explained that brain plasticity is not a simple thing to achieve, especially when we have gone through highly traumatic experiences, ones that continue to haunt us. Breast cancer brings with it uncertainty and the danger of recurrence, the progression of disease, loom high. 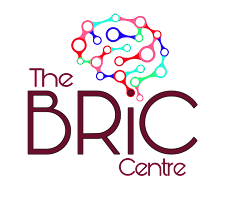 In these circumstances, our brains are geared towards anxiety related thinking styles, appropriately even, hypervigilant for signs of danger, feeding into anxiety and worry. However, this increases our vulnerability. Naz explained that research shows that our ability to embrace negative thoughts and painful experiences paves our way to allow the positives we experience to nurture us. This is especially relevant to those of us living with breast cancer and its effects because we take our cancer forward with us. Our moments of ‘being down’ can help us to understand ourselves and embracing our inner fears helps us to practice gratitude, and grit. The balance is hard to achieve, but it can be done with practice. What does it mean to survive breast cancer and be a 'breast cancer survivor'? Does the term 'survivorship' offer an accurate description for our many and varied experiences? 1. A person who continues to live, despite nearly dying. 2. A person who is able to continue living their life successfully despite experiencing difficulties. Theoretically, the notion of survivor makes complete sense, for example as a way of thinking about those who 'survive' a war, an accident, or abuse. However, our discussion, which involved women with primary and secondary breast cancer as well as women who have had a recurrence, considered the limitations of being seen as a 'breast cancer survivor'. Firstly, cancer is not a one-off 'event' that we can put behind us. Our experiences are complex - very few of us are told we are cured; we need to continue to be vigilant for signs of recurrence and uncertainty remains ongoing. As a result, rather than putting cancer behind us, we take it forward with us, and in this respect our experience is different from other situations. What about those of us whose cancer comes back? Are we then no longer 'survivors?' Unsurprisingly, those of us with secondary breast cancer could not relate to the term and it was clear that it is particularly insensitive as they are not going to 'survive' breast cancer. Yet, these are women who adapt and continue to live with grit and resilience. Some of us saw the term as an unwanted label, unhelpful and something of a cliché. Most of us rejected the assumptions that come with the term 'survivor' such as - 'you must be strong! '; 'you must be positive! ';'you must jump out of a plane to raise money' etc etc as well as unrealistically high expectations. There was not a universal rejection of the term 'survivor' though. Some of us felt it was a good fit for describing our psychological journey. 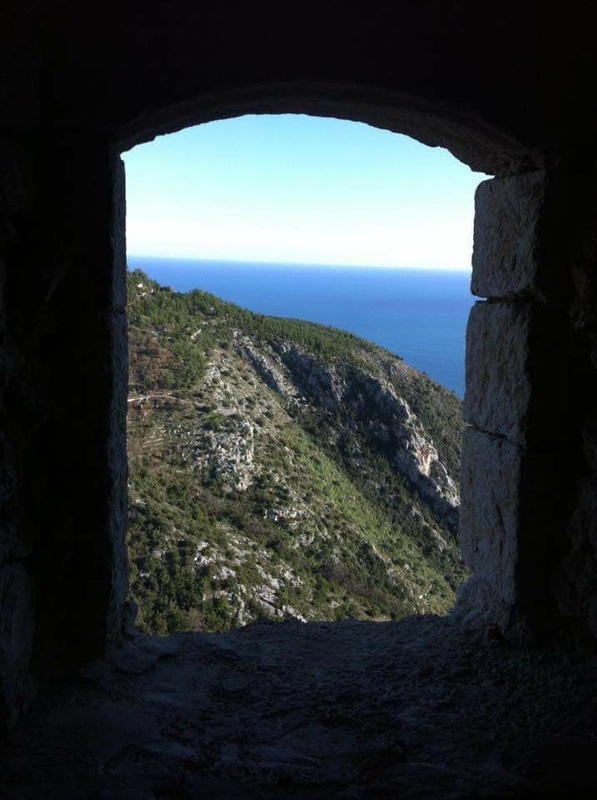 Although most of us rejected words like 'battle' and 'fight', we also felt that there were limitations with seeing our experience soley through the lens of treatment and we needed something to describe the experience. To summarise, we found the meaning of survivor in ‘Planet Cancer' to be ambiguous. We would all like to think that we continue to survive breast cancer to the best our capabilities. The way we do so is unique and what we really need is to be allowed to speak with our own authentic voices about the psychological impact of cancer on us. Naz told us that the word 'survivor' and the concept of 'survivorship' is everywhere in the breast cancer literature. While some of us see ourselves as survivors, the insensitivity to the implications of using it widely is both upsetting and inaccurate. We need new words and ways of describing and thinking about the complex experience of cancer. If you are a woman with a diagnosis of breast cancer and you would like to join our closed private group, please leave your name in the comments below. A big thank you to wonderful Bal for allowing us to use this beautiful picture. What do you say to someone recently diagnosed with breast cancer? 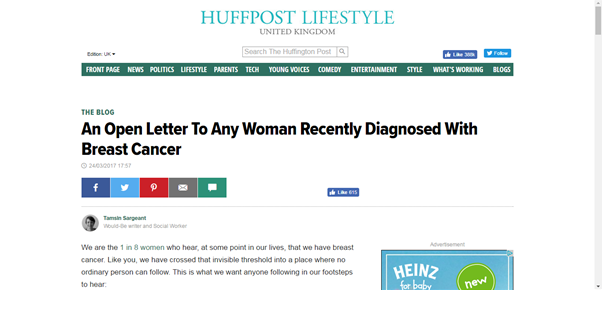 We are delighted to share this Huffpost blog ~ 'An Open Letter to Any Woman Recently Diagnosed With Breast Cancer', written by Tamsin, with Anita's vital input, and based on one of our weekly discussions. With around 1 in 8 women being diagnosed with breast cancer in their lifetime in the UK, at some point we will find ourselves in a position where we hear about a close friend or acquaintance who has just been diagnosed with breast cancer. But, what should we say? How should we respond? We instinctively want to reach out and help our friend, we find ourselves thinking back on our own experiences and we wonder what it is that might have helped us, what we might have wanted to know. For instance, would it have helped to know about the effects of surgery and the possible complications? What might have helped us to cope with chemotherapy, or radiotherapy? What would have helped us practically and emotionally so that we might have been better equipped to deal with the challenges that lay ahead? We all felt that our shared and common experience provided us with a unique perspective from which we could offer generic and helpful advice to bring comfort and support to those affected, like us. Our discussion, which included the experiences of women with primary and secondary breast cancer reflected both the practical and the emotional, beginning with our recognition that our ability to take in advice, support and information changes - in those first days, we just wish for someone who can sit next to us, and give us space talk, to cry, to be scared, horrified and hopeful all at once. Then, once we have a treatment plan, we might find that we begin to galvanize and prepare ourselves for the demands of treatment. We have found impossible to convey the extraordinary richness and depth of our discussion in a summary. As a result, we plan to try and capture the nuance and detail in the form of a longer blog post which encompasses both the emotional, and the practical, the insights, and our changing needs. Watch this space! I was diagnosed with breast cancer in September 2013. I finished treatment (Chemotherapy​, Mastectomy and lymph node clearance, and then 5 ½ weeks of radiotherapy in May 2014). In February 2016, my arm got painful and I realised it was getting bigger. My doctor referred me straight away to the lymphoedema clinic. However, there was over 3 months to wait before the first available appointment and my arm was very sore so I saw a MLD (manual lymphatic drainage) practitioner who relieved the symptoms. (I had to go once a week and it cost £40.00 so it was not sustainable in the long run.) She gave me a compression sleeve and I could see how I could manage the lymphoedema in the future. It definitely was do-able but I hated the sleeve, not just because it is so ugly or uncomfortable but because it reminded me constantly that I had had cancer and that it might come back. Also I was in constant discomfort – not terrible pains but permanent. The clinic is in Oxford and I live nearby so I thought I should at least consider it. I went to a consultation and found out I would be suitable for surgery. There was the small (not) question of money as this procedure is not available on the NHS in England but my husband and children (they are adults) were very supportive and we decided I should have a go. We found the money (£15,000) and I had surgery in April 2016, before my first appointment at the lymphoedema clinic. The surgery took 2 surgeons 5 hours: one hour for mapping my lymph vessels and veins (fluorescent green dye injected in my arm). Very high tech stuff but still they used red markers to know where to cut… I did not know veins and lymph vessels follow slightly different patterns in different people. Then two hours on the inside of my arm, one surgeon on the wrist another one at the elbow and two hours on the outside. I ended up with 4 small incisions with 4 connections in each. I was awake throughout, listening to podcasts on my phone. It was quite interesting. Two weeks off work then back to wearing my sleeve for 6 months. Straight away, the pain in my arm disappeared. Did you know that Kathy Bates has lymphoedema? 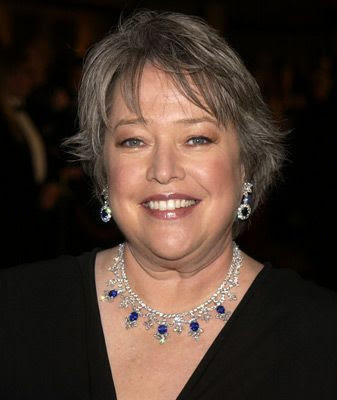 The American actress, perhaps most famous for her roles in the films Misery and Fried Green Tomatoes, has worked tirelessly to promote awareness of this little-understood condition which desperately needs more research and better management options. Do take a minute to read her candid account about her own experience of lymphoedema as a result of having bilateral mastectomies. I’m Tamsin and I have lymphoedema in both arms and my right hand. 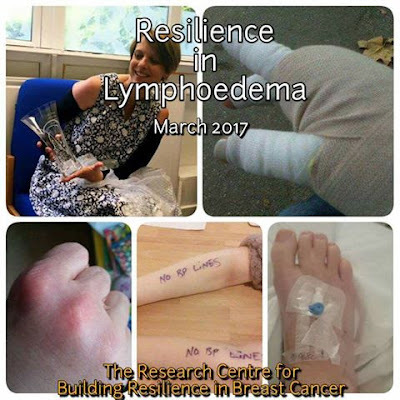 My lymphoedema story begins with dry hands - I had just finished chemotherapy to treat a recurrence in 2012 when my daughter was admitted to hospital. As I was still vulnerable to infection, I was scrupulously washing my hands on the children's ward. Soon afterwards, my right hand became puffy and by the time I was seen at a Lymphoedema Service, my hand was alarmingly swollen. With my cancer diagnosis, everything happened very quickly - scan, results, and then a treatment plan. Every new symptom is swiftly investigated. With lymphoedema, everything happened slowly - you wait ages for an appointment, you are given a sleeve or wrap and advised to try it out for a few months. Initially my swelling got much, much worse - I couldn’t hold a fork or a pen, I couldn’t get my arm into the sleeves of my clothes. Then, fluid started leaking out from cracks in the skin on my fingers. I had my hand and arm bandaged every day at the hospital for three weeks. I’ll never forget the layers and layers of bandages - I felt like a living mummy! Finding out that I’d only lost 300 mls after all this effort was really disappointing! I was to learn that losing fluid is a bit like losing weight, it’s slow, gradual and there are - frequent - setbacks! Over around 18 months, I lost nearly a litre of fluid from my arm and I really worked hard to achieve this - religiously wearing my compression garment, wearing a glove at night and doing upper-body exercises twice a day to improve the flow of my lymph fluid. My arm now looks ‘normal’ although I have some fibrosis (hardening of the tissue) in my hand. I still have to wear a custom-made compression garment or the swelling just comes back. I’m prescribed two garments every 6 month. It takes an hour for the 27 or so individual measurements to be painstakingly taken of the length and width of each of my fingers, my hand and arm. I choose black because it doesn't show the dirt but I think it's shocking that the choice of garments is so limited for people who need made-to-measure garments. I loathe my compression garment. I hate the daily gymnastics involved in getting my sleeve on (imagine pulling on size 6 spandex pants). I hate the loss of sensation, the painful blisters that develop between my fingers, the stiff, uncomfortable fabric and the colours. 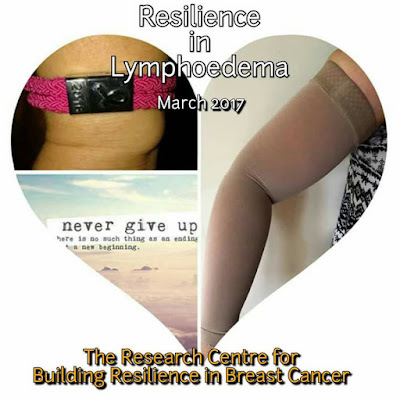 Unlike my breast cancer, I can’t hide my lymphoedema. Well-meant but intrusive questions - ‘Whatever have you done to your hand?’ ‘How long will it take to get better?’ - are difficult to answer. And then I got lymphoedema in my left arm about a year ago. It felt a bit like a cruel PS, coming four years after my second breast cancer. But in comparison with my right arm it’s easy to manage. Infection is a worry. The skin on my hand is like tissue paper and needs care and attention. I’ve had cellulitis - a bacterial infection of the skin and tissue - at least twice a year. It caused me a lot of trouble last year when I became very ill after a mosquito bite. 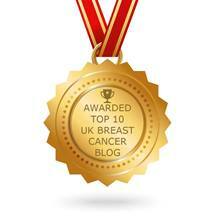 I think that breast cancer charities focus on raising awareness about lymphoedema and preventing the condition. But what about those of us living with lymphoedema? We are the forgotten ones. My advice to anyone with lymphoedema is to be proactive. I've learned to cope with my lymphoedema by investing in my overall health and fitness and by trying to take control of my condition. Peer support and organisations like LSN and LWO Support have been invaluable, but we desperately need more support to manage our individual needs. I am Sarah. In early 2013 I found a lump in my left breast, and the rest as they say is history. Although it’s not. Then, aged 38 with a 5 year old, husband just started a job working away during the week, cancer was not something that I was expecting to deal with. I didn't have a very good breast care nurse, she retired at some stage of my treatments, I only met her once, the day I was diagnosed. So every step of my journey was a step into the unknown. No one told me about lymphoedema. Lovely TAC chemo, lumpectomy surgery with full node clearance and 20 rounds of rads. I also have a node with cancer in my collarbone area that couldn't be removed. I was told that Chemo and extra radiotherapy to that area would kill off the cancer and lymph node. The radiotherapy has caused further damage to my lymphatic system around my neck, which does build up too. During my first week of radiotherapy I noticed pockets of swelling in my inner forearm. My arm started to ache, a lot. 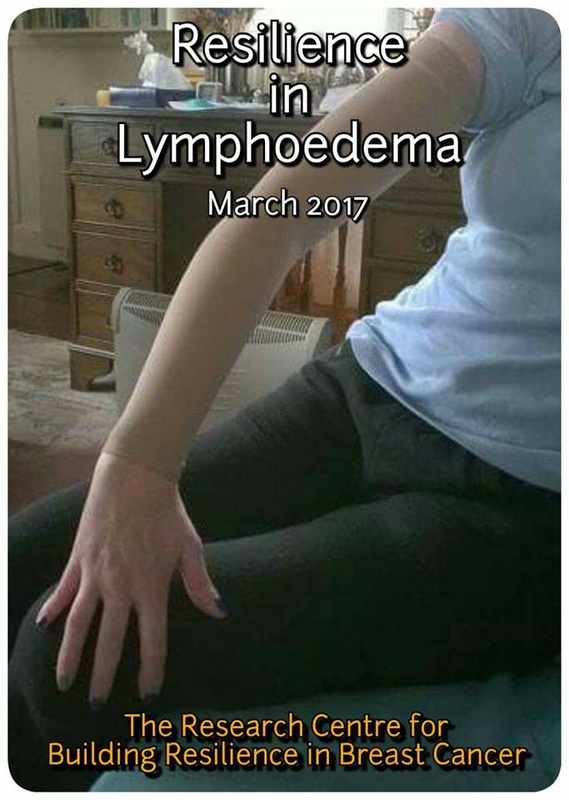 So I started to google and learnt about lymphoedema. The nurses in oncology dismissed my worries and requests of a referral, it was side effects of the radiotherapy and it would settle down. A few months later I saw a new breast care nurse for a routine post treatments follow-up. She agreed to refer me to the local lymphodema service and a few weeks later I became the new owner of one beige and one black sleeve. I do try to hide my sleeve as I get fed up with people looking and staring and then asking what have I done to myself. It does feel a bit of constant reminder of what has happened to me. I think the sleeves are pretty ugly too!! So over the past couple of years I have had to make some small adjustments in my day to day life. I've learned not to sleep on my left side if possible or hold my sons hand on my left hand side, it hurts too much to have my arm in that position. I have switched wearing my wedding ring to the right hand. I try not to overdo the shopping so use online for bigger shops, gardening, heavy lifting. I've switched my car to driving an automatic. Putting my jacket on left (lymphie) arm first. Swimming is a good exercise for my arm. I do believe use it or lose it. So I do as much as I can to keep my arm in good shape. All my clothes are non-restrictive around my armpit area. I try to buy cottons and stretchy materials where possible. Most things now have long sleeves and cardigans are now staples in my wardrobe! I am fortunate to live in an area where we have a fairly well funded lymphoedema service. But budgets and funding is limited and I do feel angry that I had to develop worse lymphoedema before I could have extra treatments which I fully believe would have stopped it developing if they had been available for everyone. The lymphoedema nurses have referred me to a physiotherapist to ease cording in my arm. It was noticed that I have damaged to nerves from the surgery and radiotherapy. I have various exercises to help ease the stiffness, but it does explain the sharp pains and restriction in movement I have. This past year it has been confirmed by the breast surgeon that lymphoedema has spread to my chest, breast and back areas. So the tight, firm and lumps I've always had in my breast since surgery is actually lymphoedema swelling, as well as scar tissue, etc. I was quite relieved to learn that one particular painful lump in my breast wasn't anything more sinister!! It’s a constant learning curve. This has opened up a new world of treatments which never existed when lymphoedema was "only" in my arm. I have just completed a 12 week course of LLLT (low level laser therapy). Its worked well for me and even help ease some of the discomfort from the scar tissue. From the first session I felt a small "pop" in one area of the breast and a strange drawing, trickling feeling as the fluid had finally been released. The nurses have taught me how to self-massage, to use kinesiology tape on my arms and body to assist fluid movements. It’s a two-person job to put the tape on my back and chest - dear hubby came along to learn too. I have also tried the pump sleeve. It didn't work as well for me, but it is very relaxing and did ease some aches. I've have tried a few different sleeves, some are too short, some are too hot and itchy. However one thing they all have in common is that they are beige!! Although there are a few brands that also do sleeves in black which is better. At the moment I have some cotton ones as I was getting a sweaty rash last summer. They are cooler to wear but they do not like it when they take an accidental trip through the tumble dyer! My advice is keep talking to the health professionals to get help. Ask questions. Not all the services are joined up so you do need to be your own advocate. There is help out there, just not always easy finding it! Naz introduced this week's topic by explaining the cognitive processes involved in planning for the future - making predictions, being insightful, calculating the possibilities and probabilities of outcomes and managing reasonable goals within the time-frame we have in mind. Following a trauma such as cancer, these processes can be impaired as uncertainty dominates, making us apprehensive. Some of us described a reluctance to plan, often due to fatigue leading to a fear that plans will be cancelled, as we don't like letting others down. Fear and uncertainty about our health in the future leads many to look only to the short term, with many planning in small chunks around check-ups. 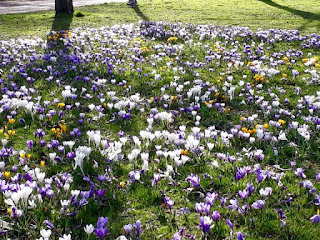 We feel frustration that we can't do as much as we used to, but conversely many have stopped putting things off and are packing lots in to every day whilst also scheduling holidays, concerts, days out and family time. A few have embraced living in the now and retired, planned big holidays, moved house. Others feel life is passing them by. 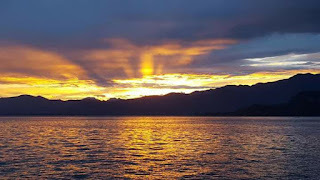 But, Naz explained that while being in the ‘now’ is good, we are evolved to be goal oriented and to hope for a bright future, to have hopes, dreams, desires and objectives. Our tough challenge is to hold on to and strive towards our dreams whilst accepting that we have little control over the outcome, and, it is this acceptance that is so very hard for us all. If you are a woman living in the UK with a diagnosis of breast cancer and would like to join our private group please leave your name in the comments and we will message you with details. 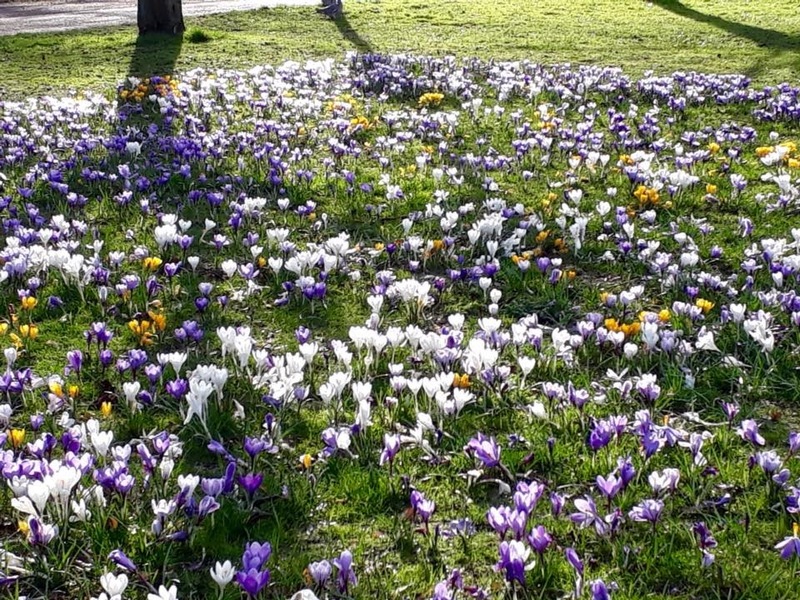 A big thank you to Viv for generously allowing us to use this beautiful photo. 'Mild lymphoedema can be kept under control with massage'. I'm Rachel and I was diagnosed with breast cancer in 2012. 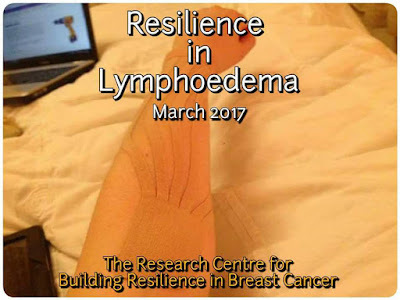 I was aware of the risks of lymphoedema after a talk from the physio after my surgery. We were told never to lift anything heavier than 5kg ever again, not to carry shopping in that arm, not to use jacuzzi, sauna or steam room, not to have massage on that quadrant of my body. I came out of the talk feeling very depressed, all those pampering treats which made me feel good were now off limits. But after talking to other people, I came to see what I could do and found ways that I could still treat myself and all was going well. Then 4 years after my surgery I got an insect bite on my affected arm while on holiday in Italy. It reacted badly. Luckily my GP knew that I have reacted badly before so I was prepared with antihistamine and antibiotics. My implant reconstruction was becoming pink and swollen but the antibiotics kicked in quickly and it settled down. But I was left with swelling in my breast. It took a while to be taken seriously as my breast care nurse said it looked fine, but eventually my surgeon agreed to refer me to the lymphoedema physio. She immediately agreed that there was lymphoedema in my breast, where fluid was trapped by scar tissue but also identified it in my arm. I hadn't noticed as my dominant arm is slightly bigger anyway. 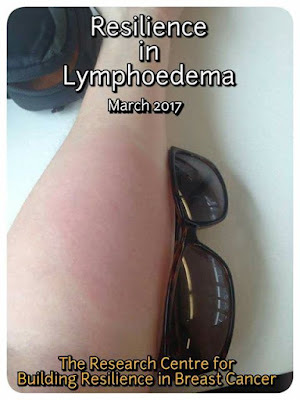 I was lucky that after the first session of being shown the correct technique and direction for me, the fluid moved and lymphoedema went down. I know I've been very fortunate that it hasn't caused a long term problem. I know my arm and breast are at risk and keep doing the massage. My message is, if you are worried ask for a referral, don't be fobbed off. Trust your instincts as you know your body best. Mild lymphoedema can be kept under control with massage. I'm Kim and it’s been 6 years since my radical mastectomy & axillary node clearance and 4 years since I was diagnosed with mild to moderate Lymphoedema. I wasn’t entirely surprised at the diagnosis as I’d been having problems on and off with my arm almost continually since surgery but I won’t lie, it was very disappointing. The news came at a time when I was still hoping to return to my career as a professional dancer and my heart sank at the thought of how on earth I’d disguise a compression sleeve under a costume. I’d already had to give up all my beautiful wardrobe of sparkly costumes because they couldn’t be remodelled to take account of being short of a breast, so this seemed like the last straw. That was then but now, having learned how to live with the condition, I am a lot more philosophical about it all especially as I have met many women with Lymphoedema much worse than mine who cope amazingly well with the condition. To begin with, struggling with getting the sleeve on and dealing with the sores that often appeared in the crook of my elbow was tough but I have the support of a lovely Lymphoedema Nurse and she sourced me a new type of lightweight sleeve that is easy to put on and is designed to help reduce soreness at the elbows. Since then I have managed to make wearing a compression sleeve just another part of everyday life. Yes, it’s a nuisance and it’s sometimes a challenge dressing in a way that doesn’t make the sleeve the focus of what I’m wearing but it is doable. 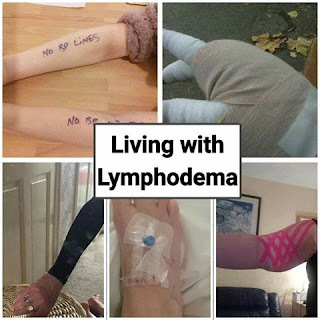 For me, one of the most of the most important parts about having Lymphoedema was making sensible choices so that I don’t do anything to aggravate it and these are things that anyone who has had some or all of their axillary lymph nodes removed. 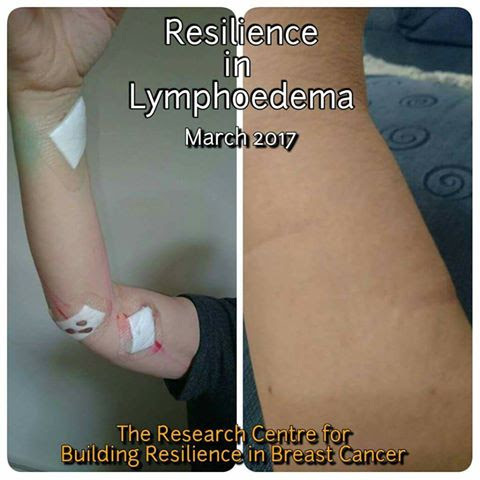 It’s important to look after your arm as Lymphoedema can develop many years after surgery (I know someone who was recently diagnosed 22 years after her mastectomy). Keep it well moisturized and deal with any cuts, abrasions or insect bites promptly to avoid an infection developing. I carry antiseptic cream, a bite cream and sticky plasters in my bag just in case of minor accidents. Other things to remember are not having your blood pressure taken on that arm or any needle sticks. One of the tricky things for me has been learning how to rein myself in when it comes to doing things that can put additional stress on my arm. I’m a very ‘crafty’ person enjoying crochet, making jewellery and working with polymer clay, all things that done to excess can make my arm hurt and cause it swell up if I overdo things. Pacing myself was never one of my strong points but at least having Lymphoedema has helped taught me how to do that! 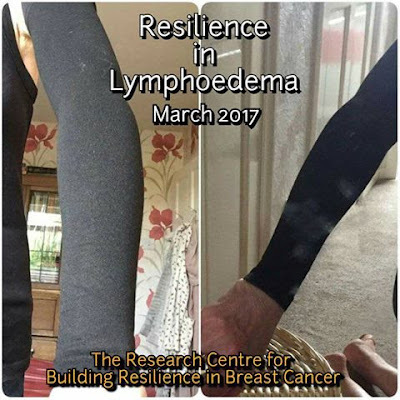 Lymphoedema can seem like a devastating blow when you are already dealing with all the rubbishy things that a breast cancer diagnosis brings but I am living proof that it is possible to live a quite normal, active life and not let it control who you are. I'm Ruth and I was diagnosed with breast cancer in 2004 and again in 2008, with two lots of surgery, chemo and radiotherapy on my left side. I didn't develop lymphoedema until 5 years later. It started very gradually - the first sign was when I noticed my left arm looked bigger. I was referred to the lymphoedema clinic where I was diagnosed with mild LD and given an arm sleeve. All remained stable for about 15 months when quite suddenly (and frighteningly) on Christmas Eve of 2014 it started swelling quite badly and aching too. I got an emergency appointment with the LD nurse on 2nd January and entered a period of trying to get it under control. At this point I was very, very miserable - it felt like a deformity and I just wanted to hide! Various treatments were tried including taping and lymphatic drainage massage (which I paid for privately). Since then it has been up and down. I found that working at the computer made it worse (and probably triggered the sudden worsening) so I try to take regular breaks and stretch my arm. Ready-wrap is wonderful when it flares badly but bulky, so I now rely mainly on my compression sleeve and a morning self-massage routine. The support group L-W-O has been extremely helpful to me. I have now largely come to terms with it and it is just part of who I am and a small price to pay for still being here. I try to always look after my arm - no lifting and always keeping it well moisturised. One of the things that I found difficult was other people's reactions to my arm sleeve. I often get asked what I've done to my arm. My answer varies from "don't ask!" to "it's holding my arm on!". I find the black arm sleeve easier to wear (in terms of my vanity) than the beige. The photos are of me wearing my sleeve (my LD is currently fairly stable). I am lucky that at present my hand is unaffected. To anyone just starting out on this journey I'd like to say that whilst LD is unlikely to "get better" it is liveable with and can improve. Over the next week we'll be sharing the experiences of some amazing women living with lymphoedema, but what exactly is lymphoedema? Lymphoedema, pronounced lim-fo-dee-ma, is a chronic (long-term) condition that causes swelling and leads to pain and a loss of mobility. It usually affects the arms or legs, although, following breast cancer can affect the breast and trunk. 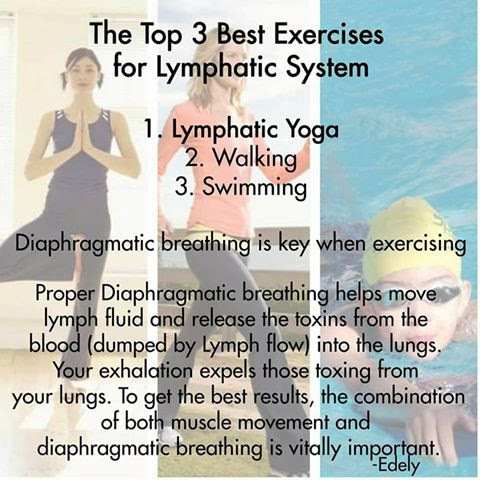 This is because one function of the lymphatic system is to drain excess fluid from tissues and if the lymphatic system is disrupted or damaged as a result of surgery and/or radiotherapy, it can lose this ability and the excess fluid will cause the tissue to swell. Swelling is a natural part of the healing process following surgery and usually settles down as you recover. Lymphoedema can develop soon after surgery or radiotherapy. But it can be triggered many years after treatment - the risk of developing lymphoedema is life-long where the lymph nodes have been removed or damaged. There is no cure for lymphoedema, but symptoms can be controlled using a combination of different techniques, usually massage and compression garments but also taping. There are also things you can do to help prevent the condition getting worse, such as specially designed exercises, good skin care to avoid infection and having a healthy diet and lifestyle.